This cultivar from Clayton Berg of Helena, MT, is an excellent addition for colder areas of the Plains States. 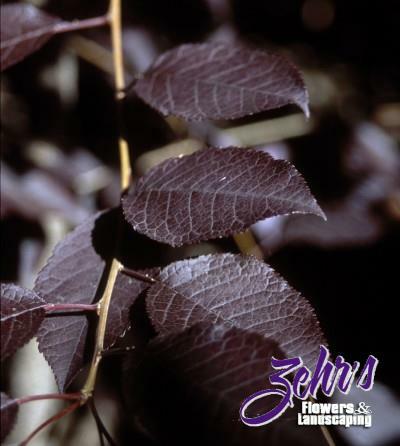 It has unusual reddish leaves that almost appear black. Spring brings pure white flower clusters which produce 1/4" dark red fruit later in the season. Despite the name Redleaf, this prunus leafs out green before taking on the red color it's known for.